This page summarizes swimming articles about various topics not covered elsewhere on this site. 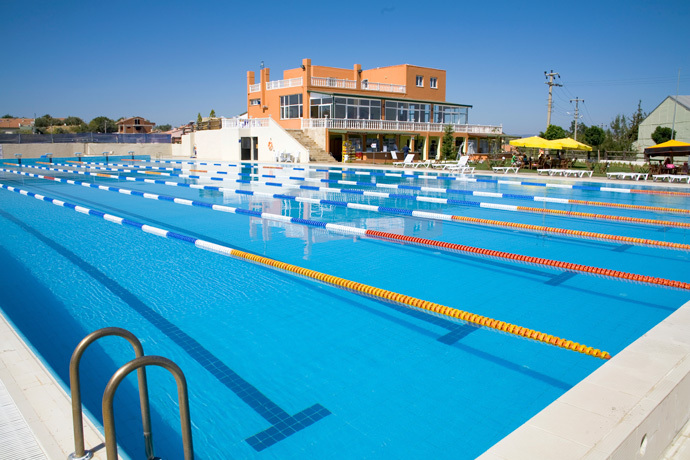 Swimming Pool Etiquette – Rules of Conduct For Lap Swimmers: The swimming pool etiquette (also known as lap swimming etiquette) is a set of informal rules of conduct that ensure a smooth swimming experience when several swimmers share the same lane. 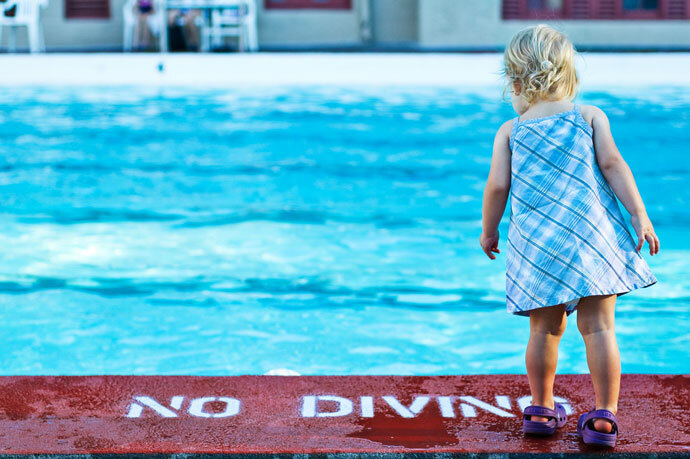 Public and Private Swimming Pool Rules For Health And Safety: Swimming pool rules are there to ensure the health and safety of everyone using the pool. Even though the rules can sometimes seem restrictive, they are always there for a good reason. 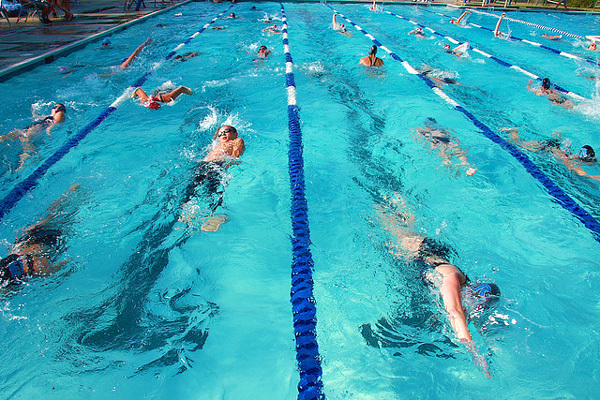 Should You Learn Several Swimming Strokes? The Benefits Of Learning Different Swimming Strokes: Learning a swimming stroke is difficult and takes time. So you may be wondering if it makes sense to learn several of them if you aren’t a competitive swimmer. Well, knowing several different swimming strokes has a lot of advantages, which are described in this article. 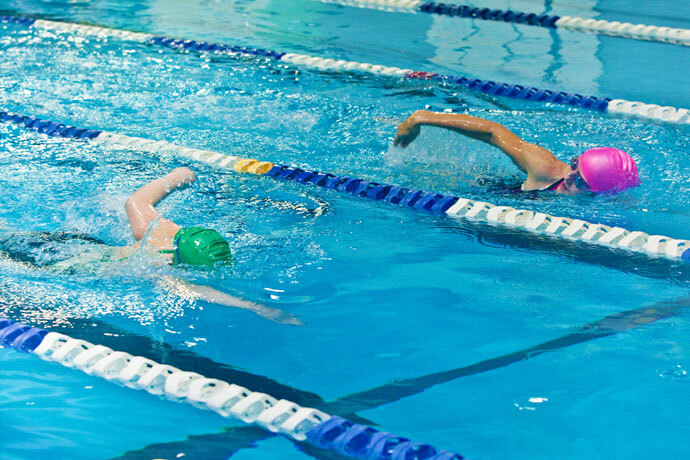 The Different Basic Swimming Strokes – Advantages & Shortcomings: This article discusses the basic swimming strokes that are commonly taught in swimming classes. It also describes the advantages and shortcomings of each individual swim stroke. 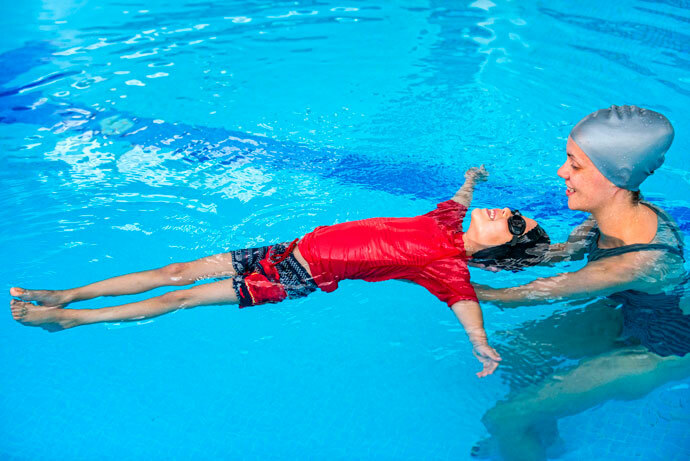 The Importance Of Swimming Lessons For Safety, Health and Enjoyment: If you are already a swimmer, the importance of knowing how to swim may not be so obvious to you as you take it for granted. So this article highlights the importance of swimming proficiency in everyday life. 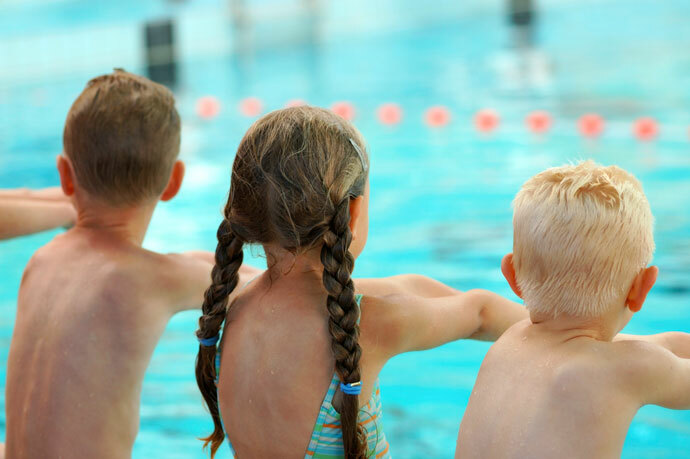 It discusses water safety benefits of swim sports and other uses of swimming skills. Overcoming fear of Water: Fear of water can have several causes, which we discuss. Then we use practical exercises such as blowing bubbles, bobbing up and down, mushroom float, and many more, to reduce your anxiety and make you more comfortable around large bodies of water. Getting Over My Fear of Swimming: The inspiring story of a beginner swimmer about how he acquired his fear of swimming at a young age, the struggle he experienced over the years while dealing with this fear, and how he finally was able to overcome it. How To Swim Faster With Less Effort: You have been swimming for years but the answer to the question on how to swim faster has still eluded you. Instead of focusing on more yardage and harder workouts, this article gives an alternative in the form of five principles to follow that should allow you to become faster. Swimming Fun – How To Keep Workouts Interesting: If you want to stay motivated, it is important that you keep your swimming fun. This article explains several strategies you can employ to keep your swimming workouts interesting and entertaining. Should Children Learn to Swim With or Without Goggles? 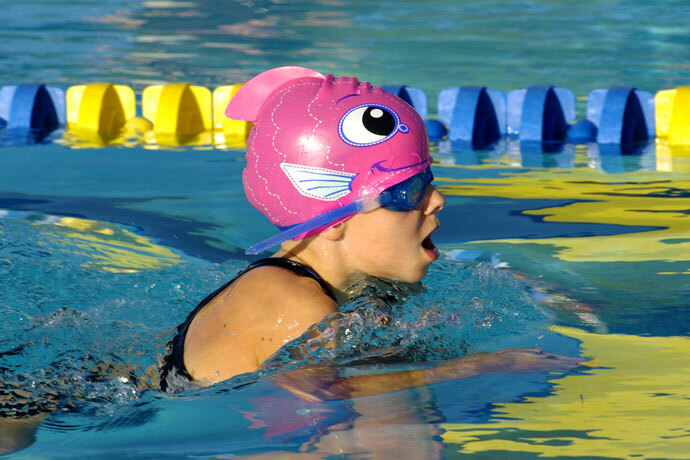 There are pros and cons for letting children use swim goggles while learning to swim. Read our thoughts about this here. Great information on this website. I have a question about the exercises. How long or often should I practice each exercise? How may I know that I’m performing it at the best? What I did when I was learning those exercises was to practice the first one in a series until I felt comfortable with it, then started to practice the second one, and so on. I think that I never did more than two or three new exercises per session, sometimes even only one or two, depending on the difficulty of the exercise. What I also did each swim session was to always rehearse all previous learned exercises for a swim stroke before starting a new exercise. While learning a new stroke, I practiced its exercises for a few weeks up to a few months, depending on the swim stroke. At each swim session I also did some swimming. Nowadays I do more swimming than drills, but I still rehearse certain exercises regularly, for example to find my balance in front crawl or to properly do the body dolphin in the butterfly stroke, etc. I think that I never did more than two or three new exercises per session, sometimes even only one or two, depending on the difficulty of the exercise. What I also did each swim session was to always rehearse all previously learned exercises for a swim stroke before starting a new exercise.